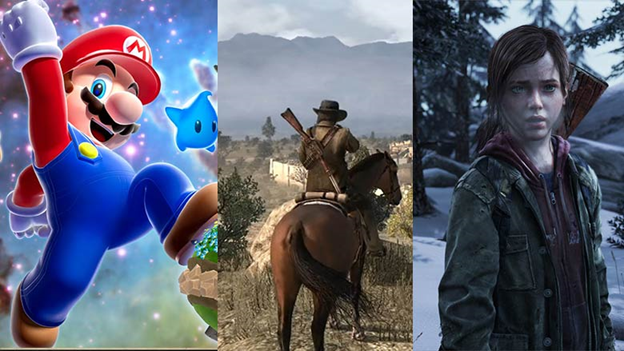 Analysts, publishers and game developers have made some interesting predictions and have given some logical thoughts on the gaming trends that we will be seeing in 2016 and in the future on where the games industry as a whole is heading. Not in game design terms, but more in the context of the business as a whole and how gaming will be seen. At the moment video gaming is at an all-time high with eSports taking the trend to unbelievable heights. Predictions for 2016 is that eSports will generate a revenue of more than $460 million and up to $20 billion will be generated in the next five years just from eSports betting. Online casino gaming has had a big boom too in the last decade, and has been steadily going on for some time, especially in Australia, where updated online pokies list for 2016 are constantly looked for on Google. This is very closely tied to mobile gaming. At the moment we are seeing the first generation of parents who grew up playing video games, which is no wonder why their kids have inherited the same passion for gaming. For example, about 75% of parents in the UK play video games with their kids. An even more interesting fact is that many of these kids take game recommendations from their parents. What’s even funnier is that professional eSports gamers are becoming parents, so you can imagine what their kids will want to do. As more millennials become parents, these figures might very well increase. In 2016 Deloitte Global predicts that mobile devices (tablets and smartphones) will be the leading gaming platforms. It’s estimated that the mobile gaming revenue will rise to $35 billion in 2016, which is a 20% rise compared to 2015. This will make mobile gaming more profitable than PC and console gaming, whose revenue experts predict will rise only five and six percent respectively compared to 2015. Last year PC games generated a revenue of $32 billion, while console games generated a revenue of $28 billion. Many other experts have been agreeing too in the past years that the future of gaming are mobiles. They are right nevertheless because the most diverse playing audience passes time by playing games on mobiles. What’s even more stunning is that 55% of mobile gamers in North America are female. As a result 60% of home video console gamers are male while more than 64% PC gamers are male too. Bold predictions were made for virtual reality games in 2016, but so far nothing spectacular has happened. It’s supposed to become a niche market this year. The most exciting prediction that we will have a chance to witness is whether the number of eSports viewers will surpass the number of viewers that watch traditional sports like NBA, NFL and even the World Cup in soccer. The current statistical data and numbers have shown encouraging results, and by the end of 2016 we will be able to see the outcome of that prediction.